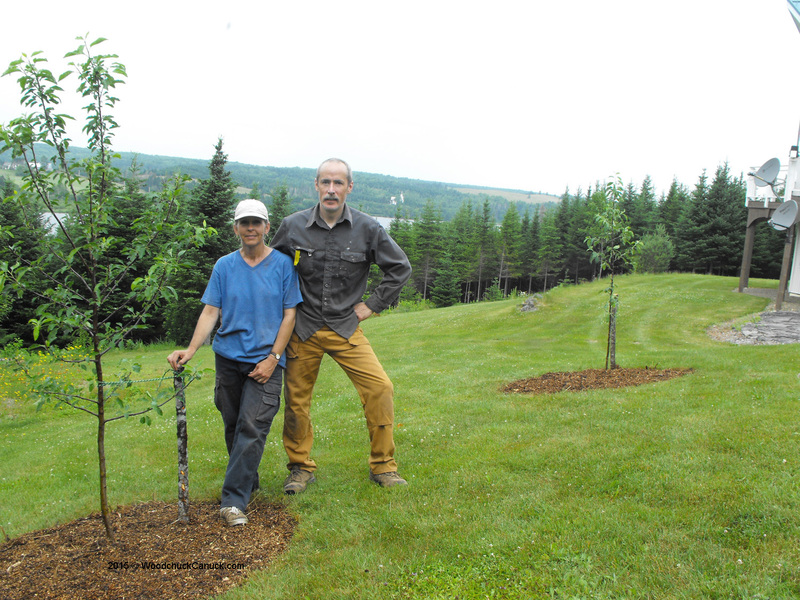 We spent Sunday morning preparing the beds for two apples trees. 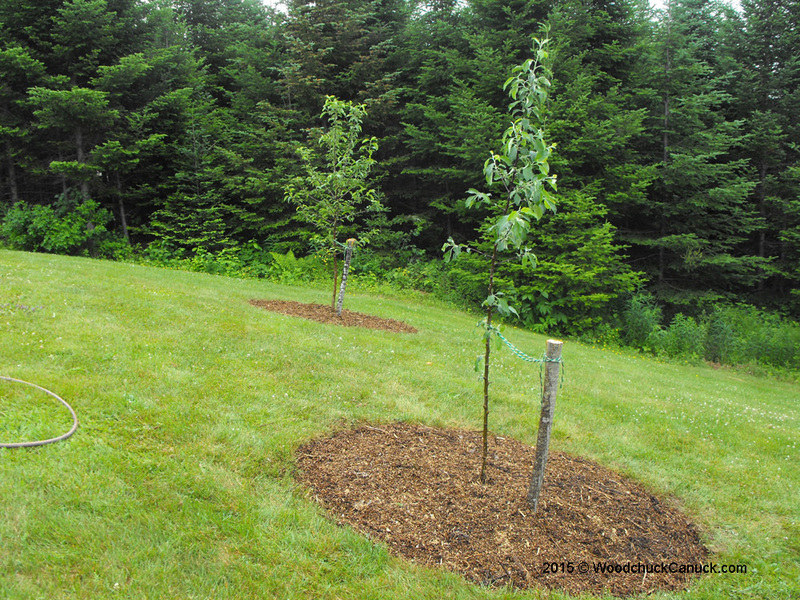 I have always wanted apple trees, and finally have the time to get some and plant them. The root ball on the Gala is a bit concerning, as we had to cut it out of the bucket. Not because it was root bound, it looks more like the main root has broken away from the root ball. 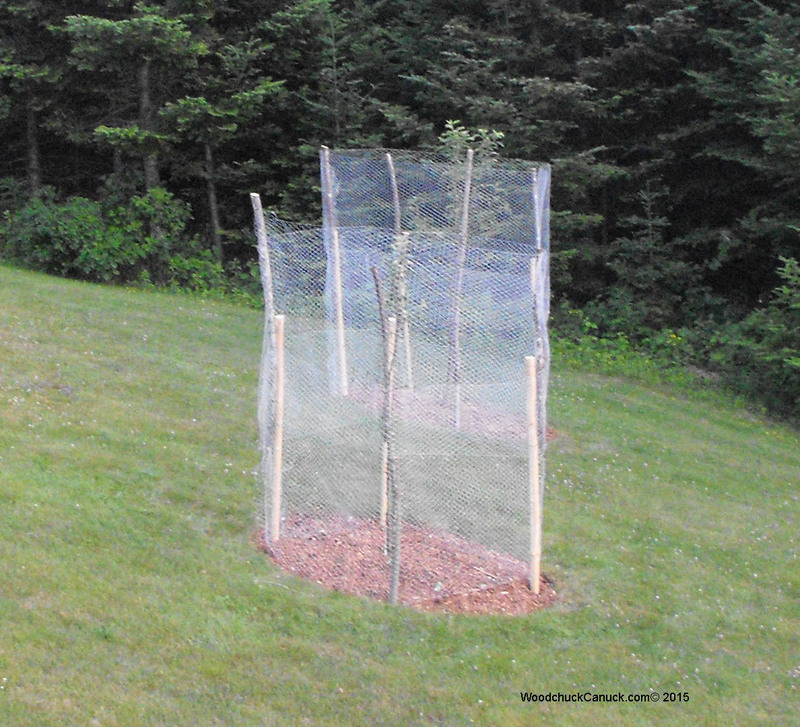 Overnight on the 14th a deer came by and chewed off the tips of the two apple trees. I’ve heard of people guarding their trees from animals, and I also knew that a deer wandered across our property at sunrise and sunset each morning. I just didn’t put the two together. A quick trip into Pleasant Valley Nursery for some advice and was told that its still early enough the trees will put on some new growth. Fingers crossed. While in town, I stopped into Central Home Improvement and weighed the options of chicken wire or 4x8ft of 6×6 steel remesh. I would of gone for the remesh, the missus said chicken wire. 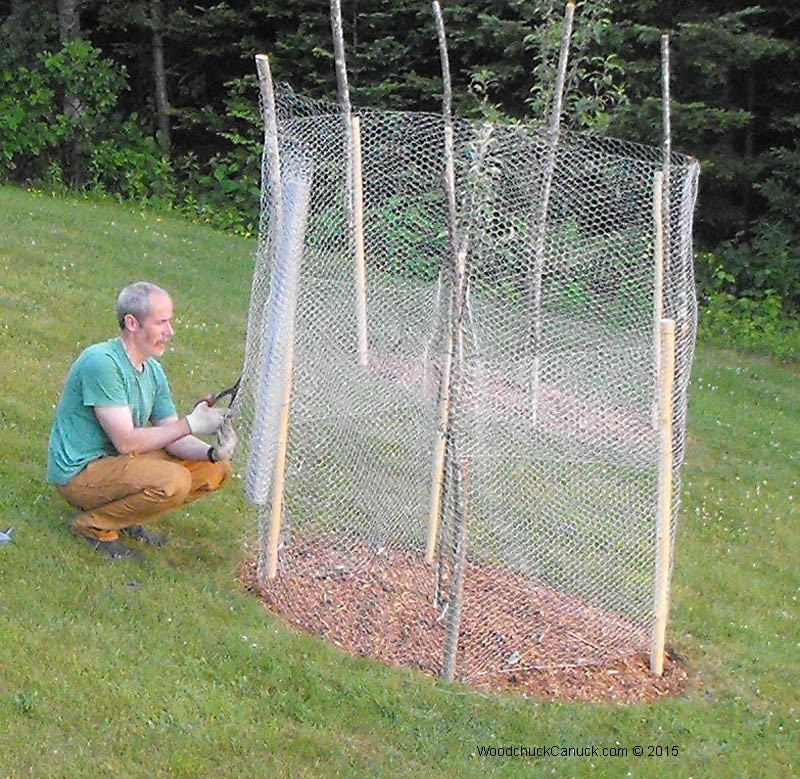 So we compromised and got chicken wire. 🙂 48inch x 50ft rolls of chicken wire is not chicken feed price, that’s for sure. Over $40 a roll. First thing to do was to go out in the woods and get some sticks. 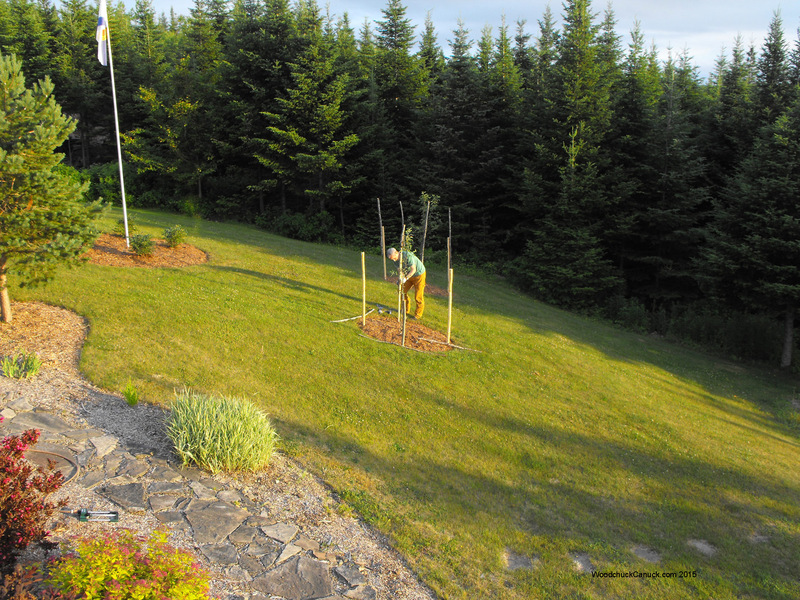 I wanted to make the fencing at least 6-7ft tall so that meant 2 stages. 6ft sticks pounded in the ground about a foot. Then attach another stick to it to get up to about 7ft. Next was to drive in the stakes. 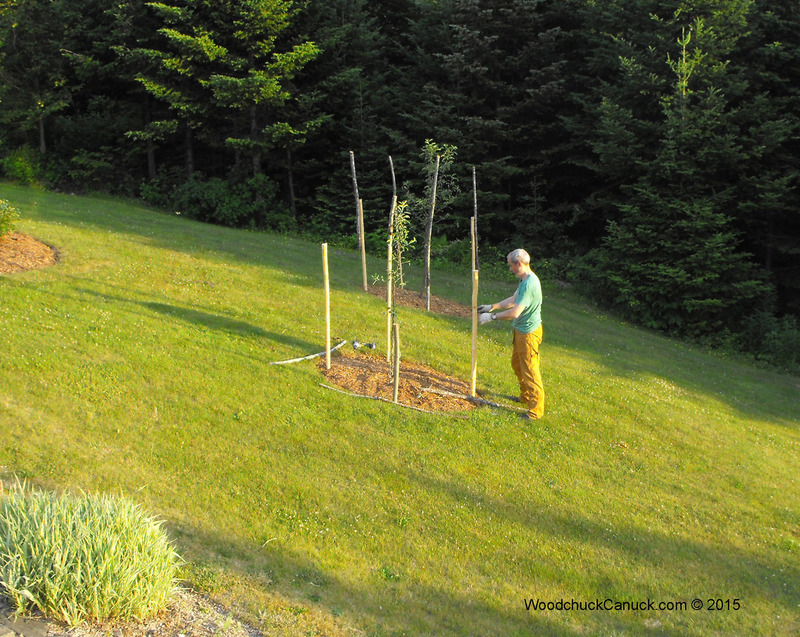 I used tie wire (also called hay wire) to tie the stakes together. Bugs are getting bad at this stage. 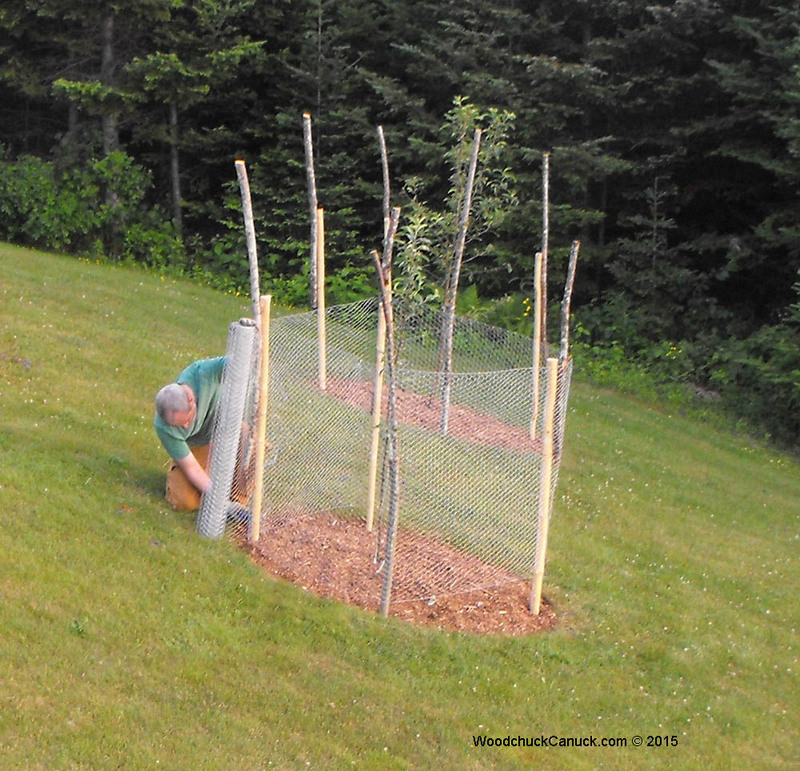 Chicken wire stapled to the stakes, now time to cut and run .. to the next apple tree. And, that’s a wrap folks! I’m buggin’ outta here!